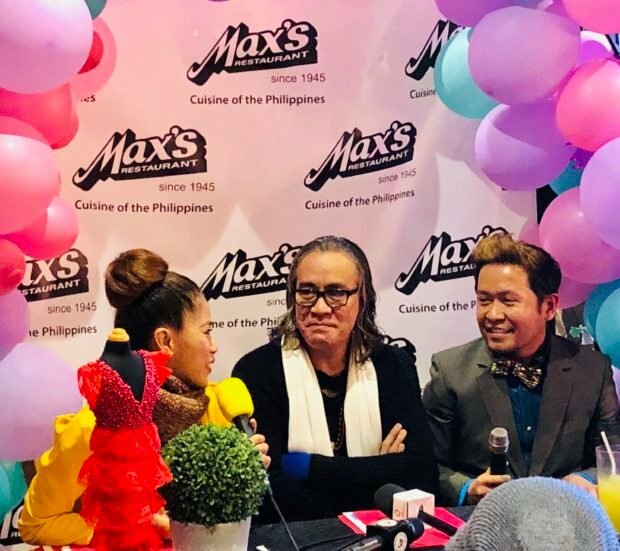 TORONTO, Ontario — John C. Ablaza, the Philippines’ first eco-couture designer, held court at a press conference in Max’s Restaurant in Toronto’s east end Nov. 9, to plug his coming couture show. This time, Ablaza will present “Behind the Seams, 30 Years” on Nov. 17, Saturday, from 6 to 9 p.m. at Toronto Pavilion, 190 Railside Rd. in North York. In this event, Ablaza will unveil his Couture for Kids and the KUBO Barong Collection, a John Ablaza collaboration with iKubo Media. “And Bea Rose Santiago, Miss International 2013, will do the grand finale of my show,” Ablaza announced. Ablaza’s creations propelled him to become “one of the hottest 100 Filipino designers around the world,” according to Illustrado Magazine. The outfits have graced the fashion runways of Manila, Taipei, Shenzen, Bahrain, Singapore, Sydney, London, Brussels, Los Angeles, San Francisco, Arizona, New York, Toronto, and Zimbabwe. The Zimbabwe project came about when Ablaza was invited in 2016 by Ambassador Harry Thomas of the US embassy in Harare, Zimbabwe, to conduct workshops and mentor 50 aspiring designers and a hundred artisans from Harare, Bulawayo, and Victoria Falls, three of Zimbabwe’s major cities. This initiative was inspired by Ablaza’s collaboration with the Ayala Foundation on the Mangyan Project in 2013. Spearheaded by Dona Bea Zobel de Ayala, the project focused on Ablaza training members of the Mangyan tribe in Puerto Galera on dressmaking, arts and crafts, and the creation of handmade bowties out of natural materials like shells and coconut beads. The project also aimed to assist the Mangyan to gain access to basic services and uplift their lives. Ablaza’s creativity and penchant for historical research found expression in 1998 when he was tasked by the Philippine National Centennial Commission to research and create replicas of the clothes of national hero Jose Rizal. The clothes became part of the Rizal Traveling Museum that visited various cities in the Philippines and in Europe. The exhibit also toured Los Angeles, San Francisco, Phoenix, Toronto, and Brussels. In 2012, Ablaza designed the costumes for the documentary “Jose Rizal: The First Hero” and the wardrobe for the film about San Pedro Calungsod of Cebu. “Pedro Calungsod: Batang Martyr” was released December 2013. Ablaza was sourcing highly sustainable and environment-friendly materials for his creations long before “environmentally responsible” became a catchword. He used “dalet” (tree bark) and “sig-id” (reed grass) in his designs, with his signature silhouettes of structured simplicity blended with glamor. This designer’s drive to uphold and highlight the beauty of nature grew “organically”– he trained as a horticulturist, ergo his love for the environment. He derived inspiration from nature, “always changing, forever evolving,” Ablaza added. Ablaza’s advocacy for the environment via his couture creations is matched only by his zeal for philanthropy. He believes in causes, among them St. Martin de Porres in Cebu city. This institution takes care of children with autism and Down’s syndrome. Mga Aeta sa Pinatubo, the pediatric ward at UST Hospital, cancer patients at UP-PGH. and the street children of Cebu city are also recipients of his assistance. In Canada, he supports Interim Place, which has been providing abused women and children with shelter, aid, counseling, and advocacy since 1981. Tickets for “Behind the Seams; 30 Years” are $50 (show) and $75 (dinner and show) and available for purchase at the venue, Toronto Pavilion, 190 Railside Rd., North York, Toronto M3A 1A3. Sponsors: StarCircle Entertainment, Academy of Learning, Max’s Restaurant, Blogtalk with MJ Racadio, Rodan+Fields, Toronto Popcorn Company; Silver sponsors: Renaissance Fashion on the Go, SunLife Financial, Basil Rodricks, Pinoy Waffles; Gold sponsor: UMAC Forwarders Express Inc.